Home > Ask Our Experts > How Will Tyre Recycling Business Affect Locals? A planning application has been made for a tyre recycling/shredding plant near residential housing, 3 schools, 4 nurseries and numerous care homes for the elderly. How will it affect our health in terms of emissions into the atmosphere? What are the by-products of the tyre shredding and recycling process? Neighbours are focusing on noise, increase in traffic etc yet my main concern is health and the short/long term implications of a potentially hazarous product. Since the EU banned the disposal of used tyres to landfill in 2003 there has been an increase in planning applications for tyre recycling/shredding plants across the country. You don’t say what process this plant intends to use and it would be useful to find out since there is an alternative method for tyre processing known as pyrolysis. Another processing method is cement kiln tyre burning. According to the Health Protection Agency (HPA) this can produce gases which have the potential to affect asthma sufferers. However, the main health risk from a tyre recycling plant is that of fire which puts people at risk from fumes and effluent released in the blaze. But it’s important to remember that all recycling plants must follow government regulations and guidelines about risk assessment and fire prevention and must adhere to safe working practices. 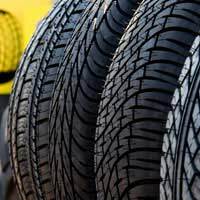 In 1995, the government produced a report on used tyre safety which suggested that sites close to residential areas were not regarded as suitable for tyre recycling plants and your local authority should know about the guidelines on this issue. Often, planning permission for industrial plants includes conditions which control the level and times of site traffic. For example, the local authority can insist that trucks enter the plant only between certain weekday hours and it can say which route has to be used by site traffic. It is difficult to give a good indication about noise since this will depend on the type of process being used and the distance of the plant from other buildings. You should contact the planning authority to find out if the applicant has provided any information about the process it plans to use and the number of vehicles expected on-site. Sir,we are running a waste tyre recycling plant in India. Recently the people nearby claim that this process cause cancer to the public. Does smell of waste tyre pyrolysis process cause.